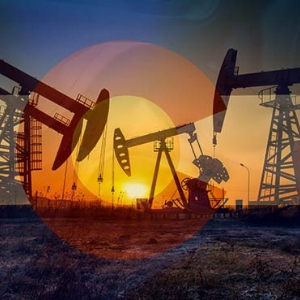 Over the past few years, Colorado has stepped up as a major leader in regulating oil & gas drilling, consistently working to protect the public and environment from the hazards posed by oil & gas operations. But while Colorado has ramped up its protections, the oil & gas industry has continued to expand — reaching into populated urban and suburban neighborhoods. The State Senate recently voted to protect Coloradans from this boom in oil & gas development — and your Senator stood on the right side. When our elected officials step up to protect us, they deserve our support. Thank your State Senator today! I'm writing today to thank you for supporting SB 181, which protects Coloradans from dangerous oil & gas pollution. Methane, the main component of natural gas, is a potent greenhouse gas, 80 times more powerful than carbon dioxide at trapping heat in the Earth's atmosphere over a 20-year timeframe. The oil and gas industry is the largest industrial source of methane emissions in Colorado. While the AQCC has made strides addressing methane, a direction from the legislature to make even bolder progress is warranted given the urgent nature of addressing climate change. Strong rules pertaining to the construction, monitoring, and maintenance of oil and gas wells are essential to prevent blowouts that are often catastrophic. Colorado has not substantively updated its well integrity rules since 2008. In fact, key provisions of Colorado's current well integrity rules are weaker than the voluntary rules recommended by the American Petroleum Institute. Thank you for voting in support of SB 181, and please encourage your colleagues in the State House to do the same as soon as possible. Yes, I would like to receive email from Environmental Defense Fund.